Thank you to all that entered our annual Christmas Lamb exhibition! We felt honored to have the chance to see the works that were submitted, and wish we had the space to display them all. Every child who entered should feel proud of the artwork they made for this exhibition. Who is eligible to enter the Christmas Lamb Show? 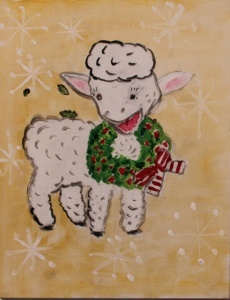 Children in grades K-10 living in Utah Valley are eligible to enter the Christmas Lamb Show. How can students enter the show? Students attending a public, private, or charter school should speak with the art specialist at their school. If the art specialist is entering works for the school, then the student may go through the art specialist. If the art specialist is not entering work for the school, the student may enter on their own. Home school students may also enter this show. Teachers or parents may bring entries to the Museum from Tuesday through Friday, November 1-4, 2016, 10 am to 5 pm. As a result of the growing popularity of this show, we ask each school to limit their entries to no more than 100. How many pieces can each student enter? What should be on the back of the artwork? Each work needs the artist’s first and last name, home phone number, parent email, grade, school, and teacher’s name and email on the back of the artwork. Please print off and fill out the info card found here. Once the card is filled out, attach it to the back of the work. What kind of artwork is the Museum looking for in this show? Works for this show should be of a spiritual theme and reflect the spirit of giving associated with the holiday season (Santa Claus images are discouraged). The works are to be original and individually conceived by the students, rather than class projects. No works will be considered if they contain glitter, candy, glued-on beans, macaroni or similar material that tend to fall off when handled or invite bugs into the Museum. When are the entry dates? Works can be brought to the Museum Tuesday, November 1 – Friday, November 4, 2016 from 10am-5pm. When will the show be on display? The show will open on Saturday, December 3, 2016 with an awards ceremony at 11 am for students winning awards and an opening reception for all students with accepted works at 12 noon that will include light refreshments. The show will close on January 7. Artwork should be picked up by January 31, 2017. Art will not be retained after January 2017. When will I find out if my (child’s) work was accepted? We will phone the home of each student with a work in the show to invite them to the opening reception. A list of accepted works will be posted on smofa.org on November 18, 2016. Students who have won an award will be notified about the awards ceremony. Will every student win an award? The Museum will select a number of works to be included in the exhibition. Of those selected for display, a small number will be chosen for cash prizes! Please note: In previous years all works in the exhibition received cash prizes. To allow more art in the show, those selected for awards will receive cash prizes. Most of the exhibited works will not receive a cash prize. All students with work in the show will receive a certificate. When does the work have to be picked up? Artwork should be picked up by January 31, 2017. 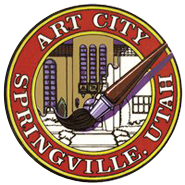 Art will not be retained after January 2017.